Disclaimer: This is a sponsored opportunity with Foodie.com. All opinions are my own. Over the past month we have really cut back on the amount of gluten we have been eating. At first it was really just by coincidence but now we are really making an effort to cut back, not out, but back on the amount of gluten we eat. A few weeks ago we had five days of meals without gluten and I was feeling good. My digestion improved, I was more energetic and well I really didn’t miss the gluten! Anyways since then we have been making an effort to eat less gluten because it makes us feel better so I was thrilled when this months gluten free recipe collection was released on the Foodie app (unfortunately for iphone and ipad only). While many of the recipes are omnivore and vegetarian there are a few vegan recipes and so far they have been really good. I am also loving the set up of this collection as it gives you ideas for every day of the week! If you are full time gluten free or maybe you’re just looking for some inspiration this is the perfect app for your entire week. 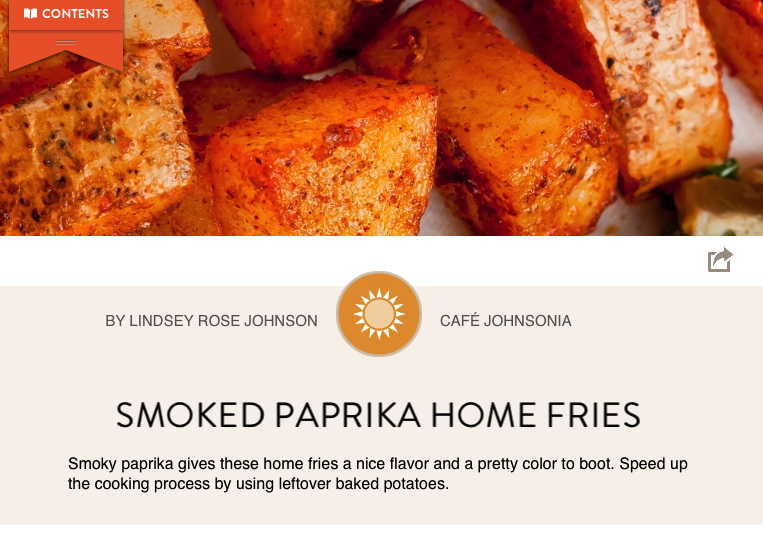 This morning I made up a batch of the Smoked Paprika Home Fries. 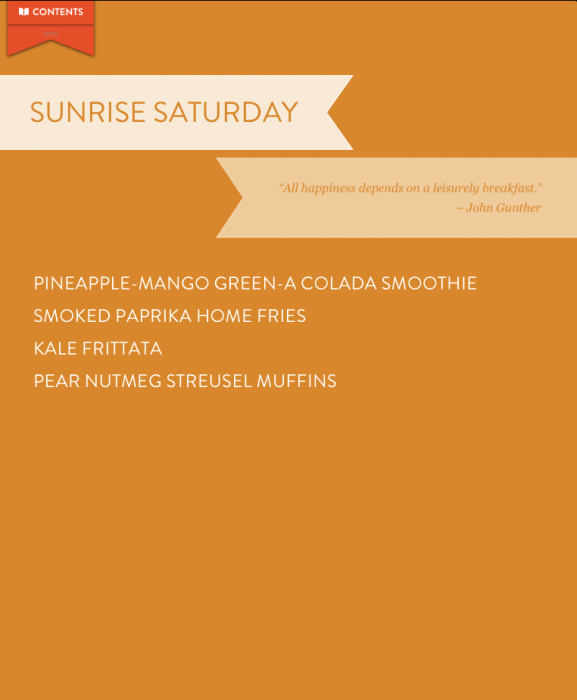 It’s not often that I make big breakfast during the week but I was in the mood and these sounded so good. 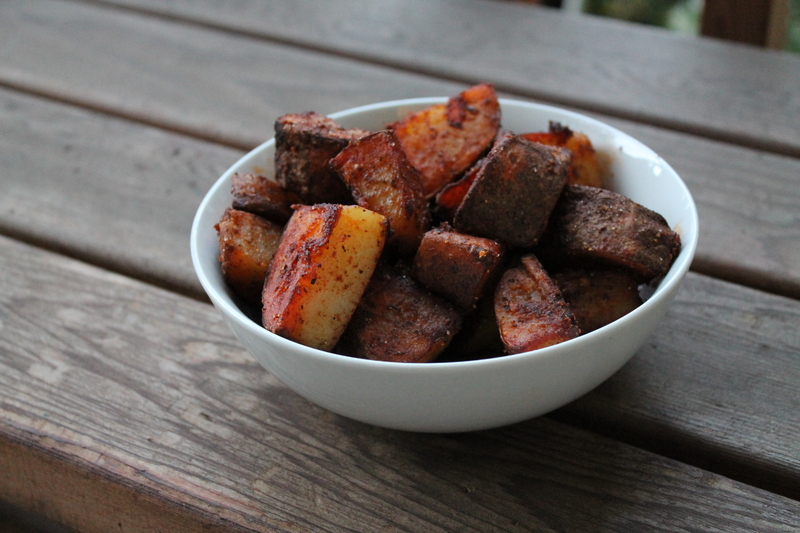 I’m generally not the best at making home fries, they tend to be under cooked or don’t get crispy on the outside but this recipe changed all that. I think my biggest problem has always been that I have been using the wrong potatoes and after making this I won’t ever go back, russets are the perfect potatoes for home fries. You can get the recipe for these delicious vegan and gluten-free home fries by downloading the Foodie app to your ipad or iphone. Seriously these were so good and I plan on making them often! 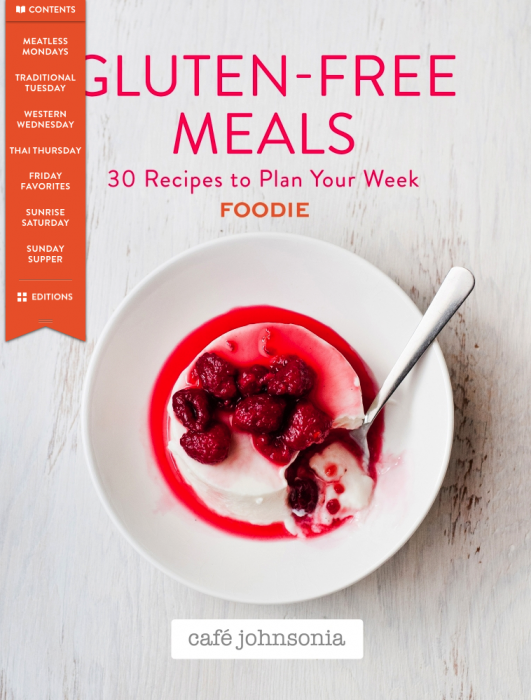 I also am looking forward to trying the Pineapple-Mango Green-A-Colada Smoothie <– seriously sounds so good and is also included in these new Foodie App Gluten-Free Collection. Thank you for posting about this app! Downloading right now. It sounds fantastic. What did you think of the app?